When looking through photographs which featured football clubs, matches and players from the early Twentieth Century there was one picture curiously out-of-place next to images of Manchester City, Manchester United, Blackburn Rovers, Bolton Wanderers and other sides from around the North West. Back row (left to right) Broad, Eccleston, Lees, Sutcliffe, Kellock, Cook, Bullen, Kelly, Swarbrick. Front row (left to right) Barnes, Boyle, Speak, Shepherd, Latheron, Walmsley, Toothill. The image of soldiers in uniform, stood in front of a stand at a football ground, was a marked change from the action shots and squad photos that surrounded it. 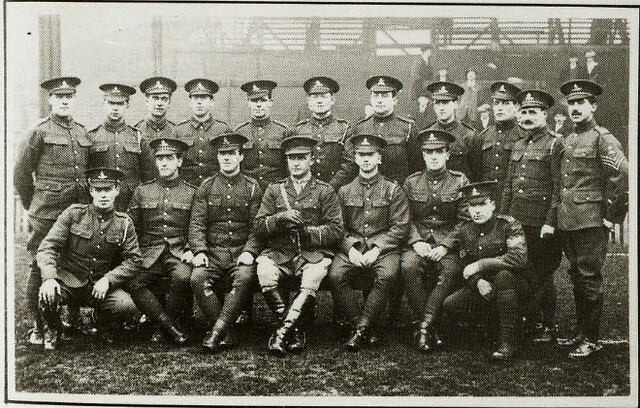 The soldiers pictured were members of the Lancashire army football side, players from regiments in the area who came together to form a team to play in an inter-county match against a Yorkshire side in 1916. 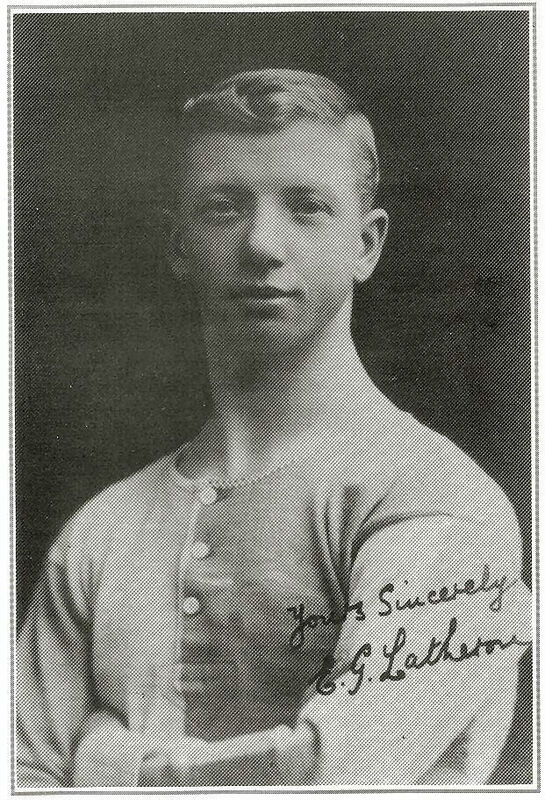 The team featured some of the finest players of the period, one of which was winger Eddie Latheron. A Blackburn Rovers player and England international, Latheron was lauded at the time as one of, if not the best winger in the English game. Originally from Middlesbrough, he moved down to Blackburn a few years before the First World War broke out and had established himself as one of the stars of the game in his spell at Rovers, collecting two League titles and two England caps before 1914. 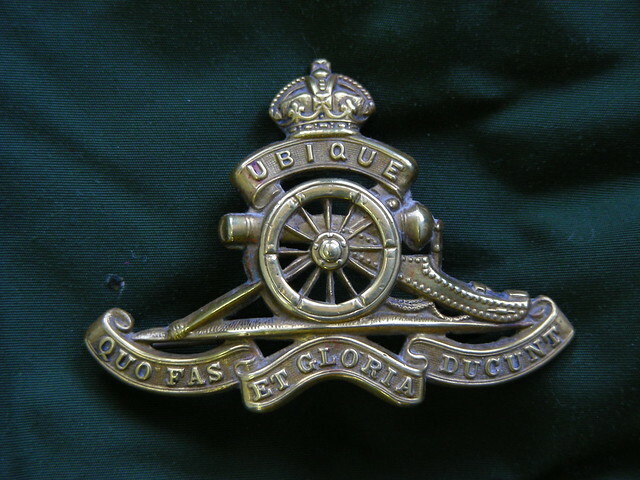 Following the start of the conflict, and the postponement of League football, Latheron joined the Royal Field Artillery. He unfortunately died during the war on October 14th 1917, aged 28, at the Battle of Passchendale where after pulling a comrade out of the line of fire he was hit with an artillery shot and suffered fatal wounds. 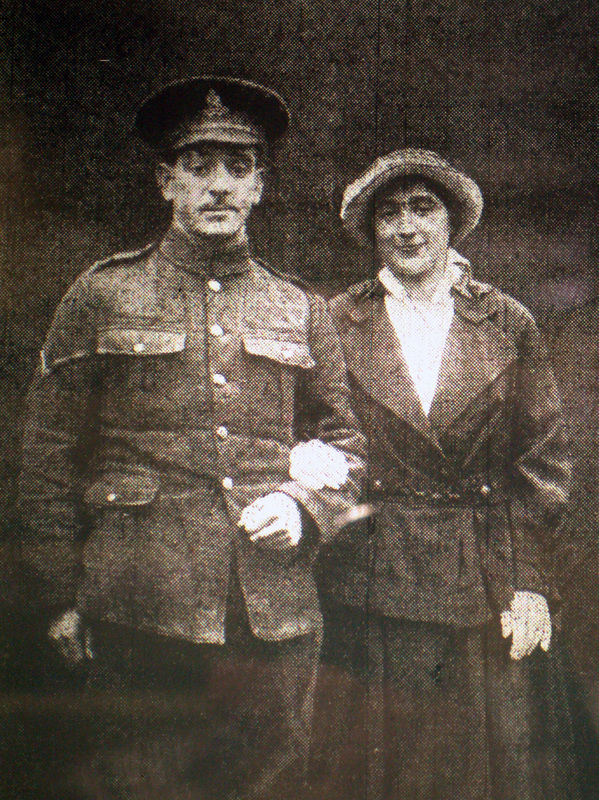 The First World War was punctuated by tragic stories such as that of Eddie Latheron. Another member of the side, Teddy Bullen, suffered a similar fate to his team-mate. Bullen was a Bury F.C. player, a fine half back according to those who saw him play and, like Eddie Latheron, he joined up following the temporary end to the Football League programme. Initially a member of the Royal Horse Artillery and then the Royal Field Artillery Bullen on August 11th 1917, in the commune of Vaulx-Vraucourt in the north of France. He was the only Bury player to die during the First World War and a number of years ago the club honoured their fallen player with a memorial in the club’s boardroom. Eddie Latheron, picture from @stevew_chorley on Twitter. Stories like those of Teddy Bullen and Eddie Latheron were an all too common feature of the First World War. Young men who were taken in the prime of their lives fighting for the greater good. There were survivors from this team though and its a sad fact that some survivors failed to get the support they deserved following the end of the war. Thomas Boyle began his footballing career at Barnsley before moving to Burnley. He was one of the more colourful characters of early 20th century football. He was suspended by Burnley in 1912 for “breaching training regulations and disobeying doctors orders”, however he put that behind him and went on to captain the side. He remains, to this day, the only Burnley captain to have lifted the FA Cup following their success in 1914. At the same time, he became the first captain ever to receive the trophy from a reigning monarch. 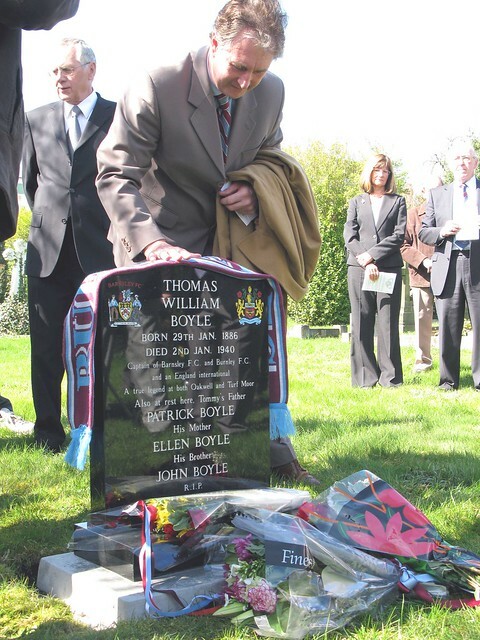 Boyle was wounded during his time on the battlefield and told he would struggle to play again, yet he did not let that curtail his footballing career. He returned to captain Burnley post-war and was captain of Burnley’s first ever league title-winning team in 1921. Despite his on pitch successes, he was never given the recognition many felt he had earned, achieving just one solitary England cap and three appearances for the Football League representative side. 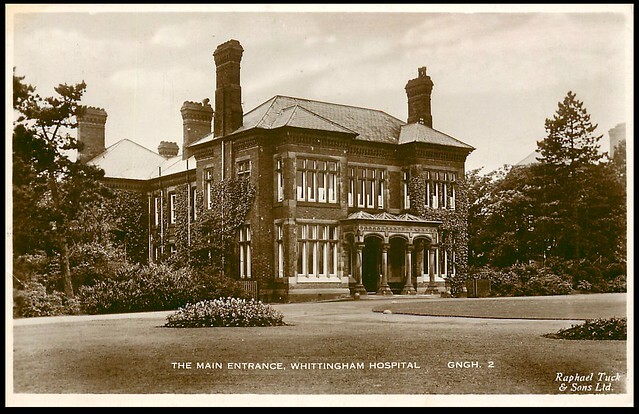 Whittingham Mental Hospital, image from Preston Digital Archive. All the young men pictured in the team photograph will have had their own stories and all played their role in the war effort. We should never forget the sacrifices that an entire generation made to ensure our freedom. These stories are a tiny fraction of those of so many young men in the First World War, all tragically similar and all should never be forgotten. This blog post was written for Archives+ by one of our volunteers as part of our Heritage Lottery Funded project. Many thanks to Mike Smith for use of images. Mike has written well received books about Tommy Boyle and Burnley’s 1914 FA Cup success if you are interested in reading more on the subject. Loved the piece on Lancashire wartime football and the photograph of the Lancashire players in full army uniform. i was wondering whether there is any more information to go with the photograph as i am working on a project on football in Lancashire during the first world war and the photograph would be a brilliant addition to my research. Any information would be really appreciated.